Creately Visual Collaboration Platform today. Based in Melbourne, Australia, CBDWeb is a specialist custom web and database development house. CBDWeb has a team of in-house developers and uses external designers and developers to augment its team on larger projects. Their latest project, a new Conference Registration System was growing rapidly along with new requirements for features and a large codebase. For the team of developers, it was becoming increasing tricky for everyone to maximise their development time as well as stay on top of the new features that were being added by the team. "It's a common problem with software projects, that as the piece of software get larger, keeping track of the structure and functionality starts to consume a significant proportion of a developer's time." said Nik Dow, Managing Director, CBDWeb. "This can be especially true when developers work across different timezones and modules in the system." "Creately allowed the developers to clearly understand the system code and communicate more efficiently and swiftly with their colleagues." "One of the developers worked with Creately to create the initial visual software document and within a few short hours the team was able to work together on the designs that make up the system user interface. And everyone loved the ease of use." added Nik Dow. With Creately's Team Plan, the entire team could work together on designs for the various system modules helping the developers to clearly understand the system architecture and communicate more efficiently and swiftly with their colleagues." Firstly and very rapidly, Creately enabled CBDWeb to detect where prescribed design & development patterns were not being followed in the development phase. This was making it hard to introduce new features but the diagrams created within Creately enabled us to swiftly identify and resolve the problem. This led to less misunderstanding between developers and designers, helping CBDWeb get features out to their customers faster. Secondly, by visually mapping the system flows with Creately, CBDWeb identified where operations were being repeated were able to eliminate this performance overhead. 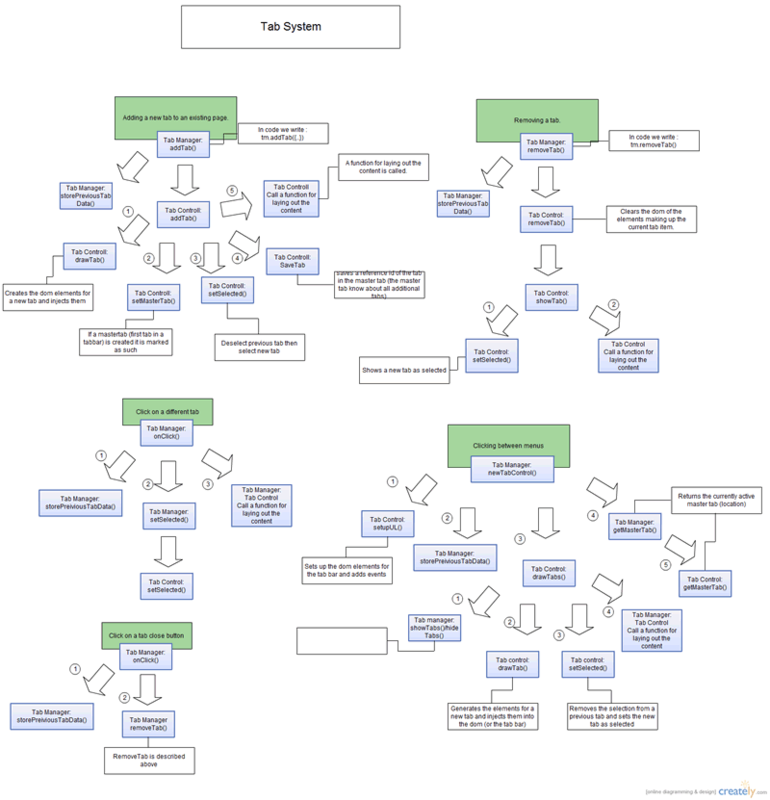 These diagrams are used and referred to when enhancements and changes are planned, and is updated by the team when things are changed or added - so everyone can clearly see which parts of the system are being worked on by team members. Finally, communication between the CBDWeb developers, designers and management improved as each person could quickly find the information they wanted without them being turned off by pages of standard text documentation. Through these diagrams and other visual artifacts produced in Creately, the distributed team's involvement and understanding of the project increased, leading to faster project completion. 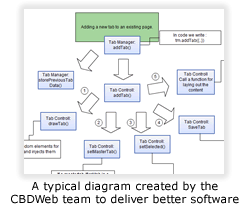 "With the built-in collaboration features that Creately provides, each developer can make changes in tandem with their code cutting"
The documentation and diagrams that CBDWeb produced with Creately are updated and maintained on a continuous basis by the team. With the built-in collaboration features that Creately provides, each developer can make changes in tandem with their code cutting. This along with Creately's ease of use has the added benefit of making adoption with the development team a lot easier. And our Customers love the professionally presented diagrams that we now include in the project documentation.